The Valentine gift with all the trimmings! 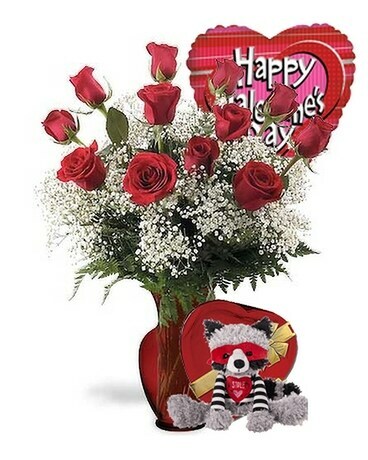 12 long stem red roses with babies breath in a red glass vase, Heart Box of Chocolates, Plush Bear, and a Valentine Balloon. *Plush and balloon will vary, but will be valentine themed.